I just love Cassie's What I Ate Wednesday posts (that originate from Peas and Crayons who I really need to start reading!). So I thought I'd give it a go! With my iPhone, of course. Because, really, I'm not carting my camera to work. 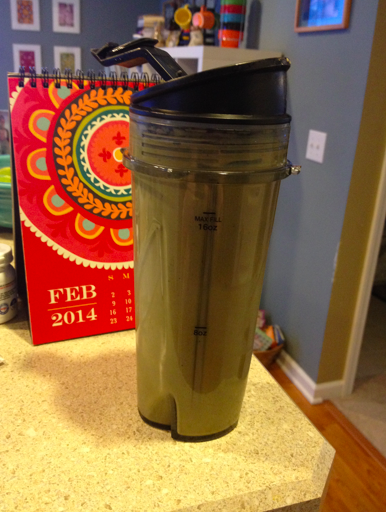 I started my day with a smoothie. I love these stinking things. I have the same snack almost every day. 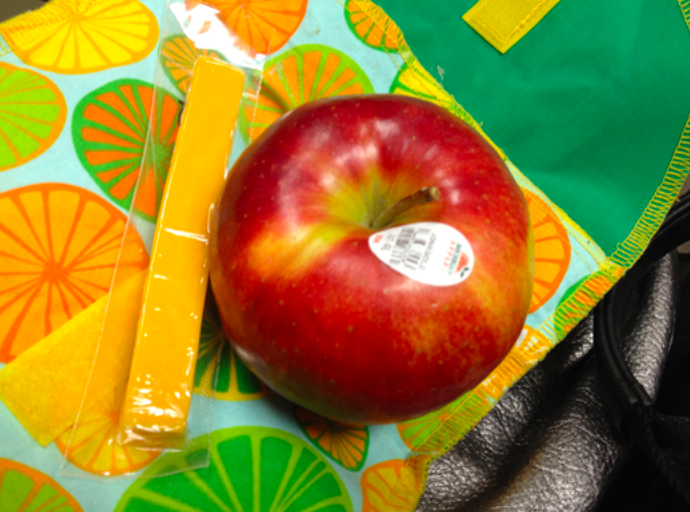 A big 'ol apple and a stick of cheese. When I bought Appetite for Reduction, my girl AshleyGee told me (and I mean TOLD ME) that I had to make the balsamic quinoa. And she was right. This stuff is fantastic. When I spend my afternoon on the road, I tend to find myself at Starbucks. At least my latte is just espresso and milk. 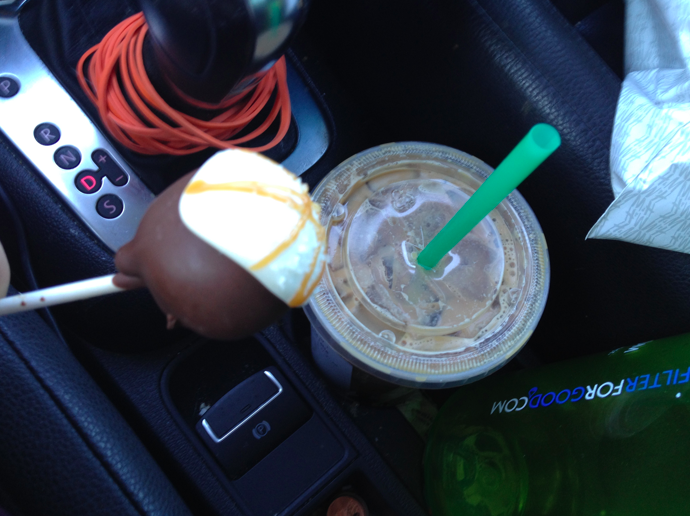 And it is just a cake pop. In days past, I would have gotten a cranberry orange scone. So I'll take progress. 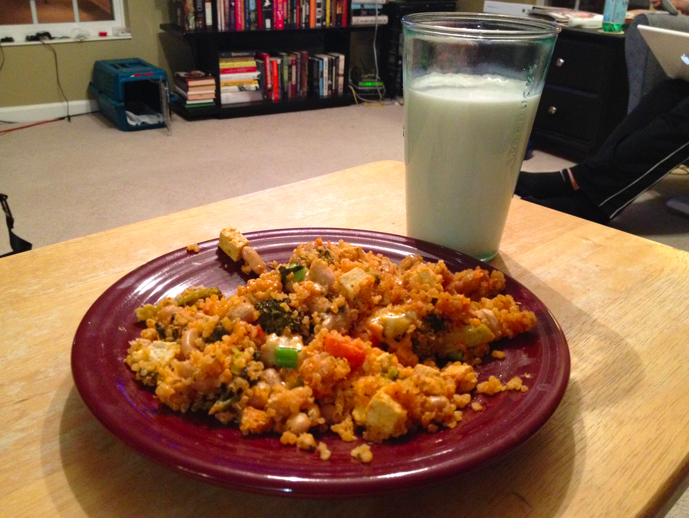 I'm pretty in love with dinner (in front of College Jeopardy). You're looking at buffalo tofu veggie bake. I'm glad that we'll have another round for dinner today! I'm hoping to get the recipe up next week! 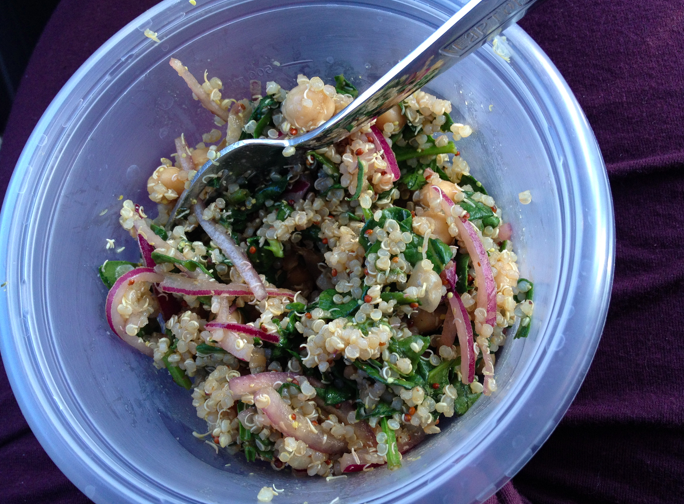 There was a lot of quinoa in my day!